Did you know that water damage can occur even on a sunny day? That’s right, water damage doesn’t just happen in response to a house flood! Severe water damage can occur because of several factors: faulty piping, extreme weather, rainwater, leaks, overloaded washing machines, and flooding are all contributors. Whatever the culprit of your water damage may be, this kind of damage tends to be the most expensive. Fortunately, here at AdvantaClean, we know a thing or two about successful water damage mitigation and water damage restoration! Since our humble beginnings, spent helping locals in southern Florida with hurricane-related water damage repairs, we’ve responded to numerous emergency water situations across the country. Our team of highly-skilled water damage experts are pros at emergency water removal, cleanup and prevention. Make AdvantaClean your #1 choice for emergency water damage repair! Thanks to our unparalleled experience with successful water damage mitigation, AdvantaClean has long been the most trusted provider of environmental services and water damage repair. Whether your water issues are large or small in scale, we’re happy to help your home or workplace make a full recovery from water damage! Here at AdvantaClean, we’ve invested in top-quality water removal equipment and strategies – our team is trained to successfully handle the gamut of water-related issues, from small leaks to major flood damage. In the event of a storm or other major catastrophic event, certain items in your home can become damaged – AdvantaClean will not only remove these items, but we’ll also provide a thorough cleanup of the area. We strive to ensure that the moisture in your home doesn’t lead to mold from water damage, or other large-scale issues. If you’re in need of emergency water removal and water damage repair, it’s time to call AdvantaClean. Don’t wait! Whether your property has flooded, or you need assistance with a minor leak or other minor water-related issue, AdvantaClean is here to offer our top-notch assistance and expertise. Do you see discoloration on the ceiling or have buckled wood floors? 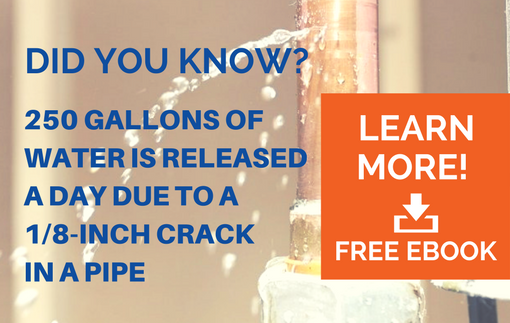 You may have a water leak that is causing water damage to your home. The bathroom and kitchen are normally the #1 place we see water damage occur. Toilets or tubs overflow and then it leaks from the second story of the home to the first. Water damage is extremely detrimental to the home and if it is not handled in a timely manner, mold growth will start to occur.